From the brilliantly creative mind behind Charlie and the Chocolate Factory, James and the Giant Peach and Fantastic Mr. Fox comes the Tony Award-winning Matilda The Musical. Named Time magazine's No. 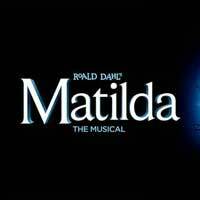 1 show of the year, Matilda The Musical is the story of an extraordinary girl who dreams of a better life. Armed only with a vivid imagination and a sharp mind, Matilda dares to take a stand and change her own destiny. Based on the beloved novel by Roald Dahl, Matilda The Musical has a powerhouse team behind it, including Tony-winning director Matthew Warchus (God of Carnage) and Tony-winning playwright Dennis Kelly, with music and lyrics by Australian comedian, musician and composer Tim Minchin. See it at the Fred Kavil Theatre in Thousand Oaks.